It’s that time of year again, and we’re not talking about the Holidays. Yes, Midwest wine fans, it’s time to check your snow tires and find your white rabbit ushanka, cause it’s Midwest Wine Conference season. This year, it would be technically possible to attend all the Midwestern wine conferences, although the Michigan and Nebraska events overlap. Some wine conferences, like the Michigan and Midwest Conferences, have moved from February to March. The Wisconsin Fruit and Vegetable Show is moving to the Kalahari Resort in the Wisconsin Dells. The Cold Climate Conference will be at the Hyatt Regency Minneapolis for the first time in 2015. The CCC has historically been in St. Paul. The Iowa Wine Growers Conference is in Cedar Rapids this year. 18th Annual Nebraska Winery and Grape Growers Forum is in Omaha during March after being held in Kearney last year. Here are the Midwest Wine Conferences in chronological order. Some Conferences have not released agendas or speaker’s yet, so please check back periodically. This article will be updated as more information becomes available. Dr. Paolo Sabbatini from Michigan State University will on his hybrid research. Dave Danzinger‘s work on vineyard machinery and mechanical harvesting. Illinois Grape Growers and Vintners Association 2015 Conference and Trade Show, January 29-31, Crowne Plaza, Springfield. 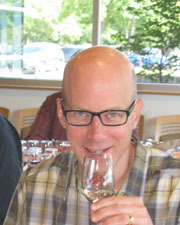 Clark Smith of Vinovation will be conduction seminars; Enological Oxygenation and Reduction Management and Cognitive Enology – Wine as Liquid Music. Keith Brown, winemaker for Constellation Brands in Canada on Inniskillen’s success. Danny Wood, Midwest Wine Press, on the creation and funding of state wine marketing programs. Ethan Joseph from Vermont’s decorated and adored Shelburne Vineyard. Dr. Paolo Sabbatini– Michigan State researcher will discuss the impact of canopy management, crop load and vine balance on red wine grapes. The 2015 IWGA Annual Conference, February 27-28, 2015, The Hotel at Kirkwood in Cedar Rapids, Iowa. Workshops: Andy Allen, Arkansas Tech, Viticulture; Murli Dharmadhikari, Iowa State, Enology; Donnie Winchell, Ohio WIne Association, Promotion. Midwest Grape & Wine + Craft Brew Conference and Trade Show, St. Charles, Missouri , March 10-12, 2015. Vitinord International Conference, Lied Lodge & Conference Center, November 11-15, 2015, Nebraska City, NE. Homepage photo: Dave Reedstrom, Meleah Huxford and Russ Winter of Indian Island Winery at the 2014 Cold Climate Conference.